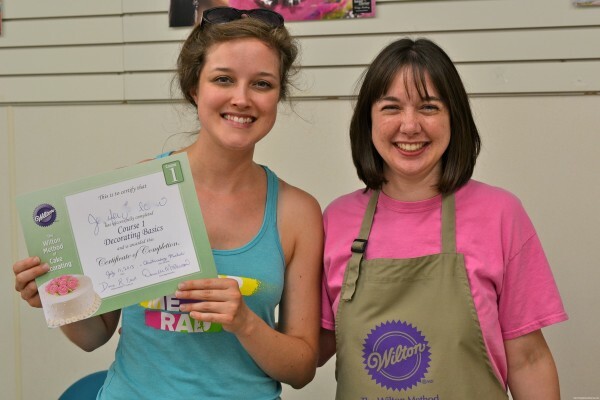 I finally completed the last class in the Wilton Course 1 series. I started back in November, but had to miss our final class because of a holiday gala. Turns out I was blessed to have missed that class and make it up later, because my teacher this time was the cutest thing ever. Dana, at the Christiansburg Michael’s, has such an encouraging spirit and uplifting energy about her. She made time just for me to make up my class… I was the only student there, and she even brought snacks, including chocolate covered strawberries. She really went out of her way. We love flower fairies here in Azuria, so I had to go fairy themed this time! I used the gel tracing technique we learned in my previous class when I made the tiara cake. I have decided that this is my favorite decorating technique of all.Its sooo easy to find coloring pages of any theme online to use as your guide. How I wish this had been the case in my childhood, when I used to ration the pages in my coloring books on road trips! 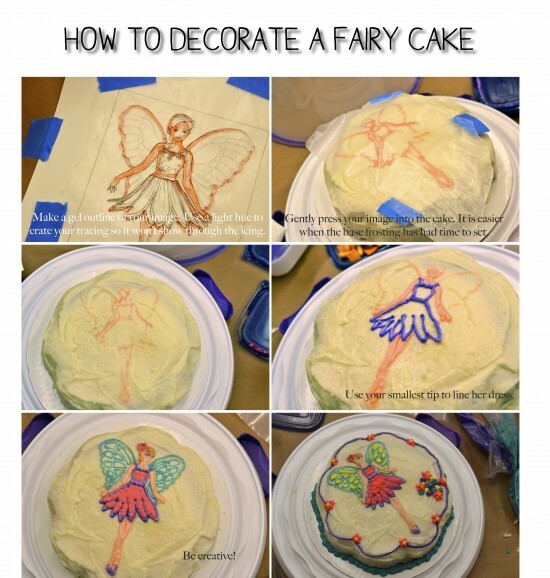 Most of cake decorating is using your own creativity. Only your imagination is the limit. Below I’ve included some tips to get you started on the gel tracing technique, but then you’re free . Hooray! Here’s my teacher, Dana, after presenting me with my certificate of completion. Maybe I’ll frame it for my kitchen. hehe. Royal Gender Reveal: A Little Princess! © Copyright KINGDOM OF AZURIA Princess Parties Warrenton, VA 2019. Powered by WordPress.